S.S.Sreejith is a management executive and a researcher in International Business, specializing in business strategy and HR, with management and research experience in India and Taiwan. His expertise lies in High Performance Work Systems (HPWS), its implementation in companies, and its relationships with overall corporate performance. He has also worked in the critical areas of Business Values and Firm Performance. Mr. Sreejith has conducted management sessions for International business, Logistics & SCM, HR, Strategic management, and Marketing and Executive development including personality development. His key goal for the organization is doubling each company’s profits in a year's time. He is working with several companies in Asia in the areas of business development and overall corporate performance. For the past 16 years Mr. Sreejith has worked in top managerial and teaching positions with Jain irrigation systems Ltd, Jalgaon; KTM Agro Forestry Division, Coimbatore; Career development foundation of India (Associate partners of University of Cambridge, UK in India), Chennai ; School of Communication and Management Studies, Cochin, India; National Cheng Kung University, Taiwan; Triumphant Institute of Management Education; Vidyabharathi group of Institutions, Cochin; and London College of Business and Finance, India before joining as CEO of Global Institute of Integral Management Studies. His specialties are International business operations, HR & High Performance work systems, Logistics &SCM, Business strategy and Knowledge management. He has industrial, academic, consultancy and research experiences in Management & Business. Mr. Sreejith has also been business consultant to Highland holiday homes, Trade-India's exporter's yellow pages, and a research analyst to Govt. of India's farming systems research station in Kerala. He is a BSc Agriculture Graduate with Masters in International Business and also has a Cambridge International Diploma in Business HR. His research work is on-going. 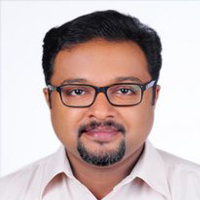 Mathew Abraham is a Post graduate in International Business of Bharathiar University and a B.Com graduate of Mar Ivanios College, Thiruvananthapuram and joins GIIMS as COO after 12 years of his working experience in UAE and in India. 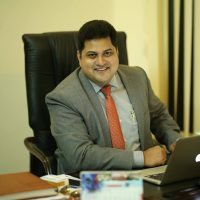 He was associated and handled various positions in Daallo Airlines and Shipping and Prime Focus General Trading, Dubai and Protege Consultants Private Limited, Bangalore. Mr Mathew is a visionary in the educational sector and edutainment and was part of various training programs in International business, shipping, export and Import areas in India and Abroad. Tom Jose joins Global Institute of Integral Management Studies as Chief Information Officer after 15 years of experience in the areas of Business Development , Key Accounts Management and Team Management. He was a Partner in Trinethra HR Consultants Pvt Ltd & handled top managerial and business development positions in, HSBC Electronic Data Processing, Getit infomediary Ltd , Sifi Boron Net Devices Bangalore. Mr. Tom is a strategist by his professional nature. 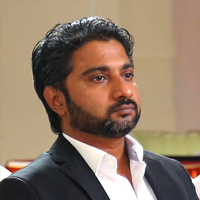 He is the Director of Thomson Agencies Pvt Ltd and owns plantations of cardamom, rubber…etc. Tom completed his +2 from Monfort school Yercaud, B.Com from Marian College Kuttikkanam under Mahatma Gandhi University, Kerala and MBA from Ecole Nationale des parts chausses, Paris from its external Campus in Cochin.